Hope Philodendron in a pot. 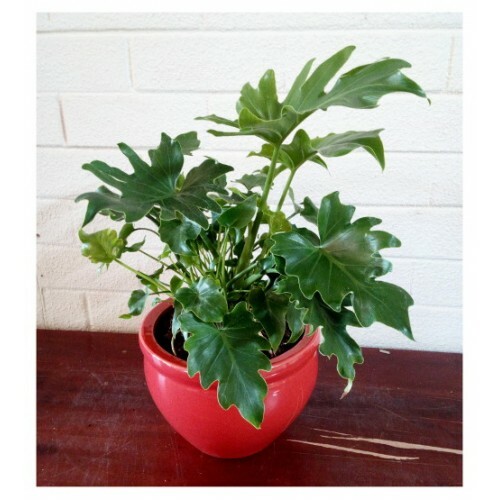 The Hope Philodendron is a beautiful, easy to care and provides yearlong beauty with its interesting foliage and full silhouette. These plants are native to regions in South America - specifically Brazil, Bolivia, Argentina, and Paraguay - and prefer a tropical, humid environment. This plant requires moist soil, but should not be over-watered. Water when the soil feels dry to the touch, and make sure that all the water can be absorbed into the soil. Occasional fertilizing (approximately once every 2 weeks) will help to avoid nutrient deficiencies. The plant prefers bright, indirect sunlight - placement near an east or south facing window would be ideal. Removing dead leaves from the plant is important for aesthetics as well as plant health.